Looking for a change in your family room, bedroom, or living room? With a new set of carpet flooring from our showroom, you will create a plush and relaxing feeling to every part of your home. Whether your existing flooring is stained and dingy or you are just tired of the same old color, you will find the perfect option for your space when you shop at our carpet store in Seaside, OR. Visit us today to discover the right product for any room. When you are ready for a new look throughout your space, choosing to upgrade your flooring is an easy way to achieve a dramatic style change. At our store, we feature a full selection of carpeting in a broad assortment of colors, from bright, bold hues such as raspberry and emerald to refined, soft neutrals like eggshell, ecru, and sand. We have an extensive range of carpet options that will let you transform any room of your home. With so many patterns, colors, and styles to choose from, you can customize your own unique carpet design, breathing new life into any room with a one-of-a-kind look that matches your personal taste and the current interior décor. Do you know what kind of carpet you want for your home? With a huge carpet selection that ranges from luxurious plush styles to resilient and attractive Berber carpet, you are sure to find what you are looking for at our carpet store. If you are unsure what style of carpet would work best in your home, please ask our experts for assistance. We have experience matching new carpeting with existing home interior designs, and we are happy to recommend flooring that is the perfect complement to your home. Whether you have a specific theme or color pattern or you need a little extra inspiration, we can show you the perfect option. In addition to coloring and patterns, we can also help you decide on what type of carpet best suits your needs. There are a few things to consider when deciding on the cut of your new floor, such as comfort, durability, and cost. While comfort may be your main concern for bedroom carpeting, resiliency and longevity may be more important for living room carpet that gets more use. Once you decide on your new flooring, count on us to complete your carpet installation for you. Our crew of experienced professionals is available to tackle projects of all sizes. We arrive at your location with the tools and equipment needed to finish your job in just one visit. After your beautiful new carpeting is installed, ensure it stays looking great by using the right vacuum. Our showroom features vacuum cleaners by Miele, one of the leading names in the industry today. These products are available in a range of different sizes, with unique features that let you customize your new cleaner. From dirt and grime to crumbs, you’ll be free to clean up any mess with ease. By choosing the Miele name for your new vacuum, you can count on your new cleaner to last for years to come. Berber carpet is a popular flooring choice for a number of reasons, one of which being that it offers an impressive blend of comfort and aesthetic appeal. There are unique designs and color options available from this brand, making it an incredibly versatile flooring material. With flecked-color schemes and a range of color options, your new flooring will fit in seamlessly with any interior design scheme. 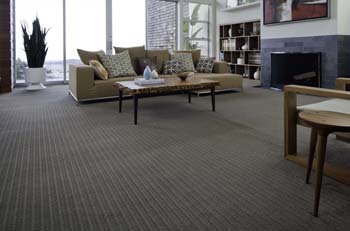 The loop design of the carpet fibers not only looks attractive, but it also provides a soft cushion underfoot. Living rooms and family rooms are areas where you will commonly find Berber carpet. That is because this style of carpeting is known for its incredibly durable fibers. They can endure frequent foot traffic without showing signs of wear and tear. The material is also resistant to stains. People with kids will appreciate how much easier it is to clean up spilled drinks and foods without worrying about the mess leaving behind a permanent stain. With so many advantageous attributes, it may surprise you to learn that Berber carpet is also one of the more affordable flooring options we carry. Considering how long you can expect your new carpeting to last and how competitive our prices are, it is easy to see why this choice offers unbeatable value. Of course, the price varies depending on the material and the style you choose. Tell us what kind of carpeting you desire, and we will provide you with a free estimate. We have a crew of professional carpet installers who have decades of experience installing carpeting in Seaside. Our crew arrives at every job equipped with all of the tools and equipment they need to finish the installation one visit. Be sure to ask about our first-rate warranty packages. Contact us to shop for new carpet flooring for every room in your home. At our carpet store, we offer options for customers throughout Astoria, Cannon Beach, Manzanita, and Seaside, Oregon as well as on the Long Beach peninsula.